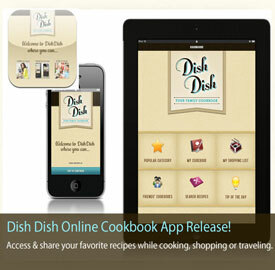 Enjoy having your favorite recipes with you wherever you are – in the kitchen, at work, out shopping, or on the road; accessible with Dish Dish mobile or in the Dish Dish Online Cookbook app. 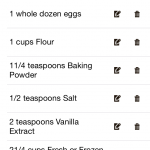 Declutter your kitchen recipe drawer by scanning recipes and sending them to us (by email, fax, or mail) to add to your online cookbook (we’ll enter the first 20 for you at no additional charge – and you’ll enjoy reduced rate of $.65 per recipe after the first 20). 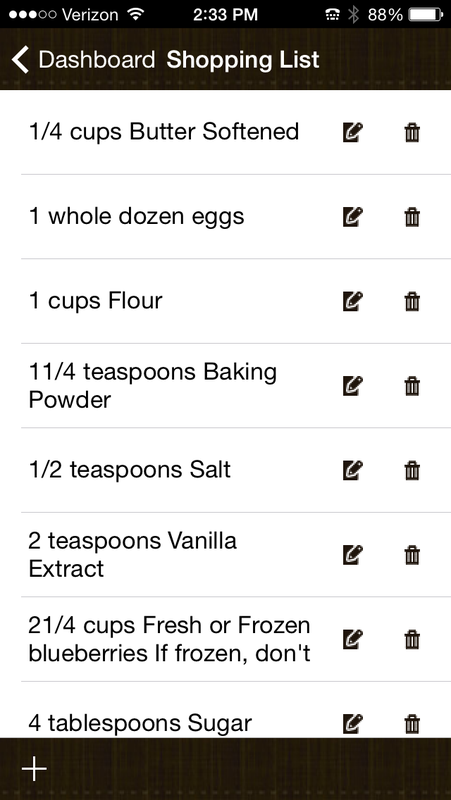 Add your own notes, photos, and edits to your digitized recipes any time. and always have your shopping list with you. 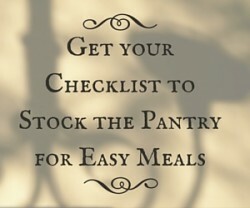 Wish you could save recipes from websites, Pinterest, or Facebook without losing the links? Use our Recipe Import Tool and import recipes directly into your online cookbook where they are saved and ready for you to edit, add your own photos, and access or share from anywhere. 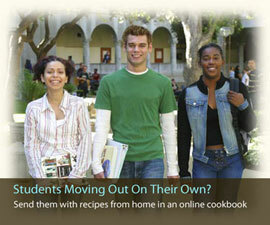 View your friends’ cookbooks! Invite your friends to join, send each other a friend request on Dish Dish, and you will be able to see each other’s cookbooks in your “Friends Cookbooks” list. Dish Dish is for you! 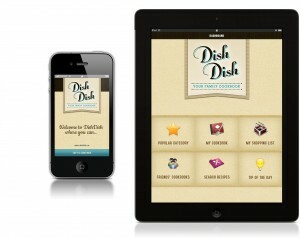 Get started today with our Dish Dish Deluxe Account for only $19/year! And we will never share or sell your information to anyone else. 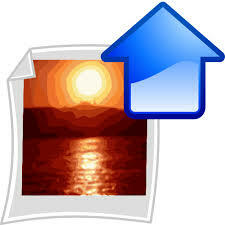 After all, we don’t like to get spam either!